Something’s gotta give this weekend. Will it be Arkansas’s spotless road series record or Vanderbilt’s undefeated home series record? 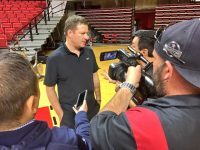 Making a move to hire the hottest coach in the land shows the passion that remains for Razorback basketball among the UA’s most powerful administrators and wealthiest boosters. April 2, 2019, will not go down as landmark day to be an Arkansas Razorback. The Razorbacks deserve their top-10 ranking at the moment, but now in the meat of SEC play, it’s going to be difficult to hold on to. Will Yurachek be able to land a whale or will he get a couple of guys raises, and then end up settling for an up-and-comer? The UA announced the move in a press release issued late on Tuesday. Learning, improving and developing are all going to be essential for next season if the Razorbacks want to avert another subpar season like they experienced this year. Alabama has pitched and hit well all season, and have shown marked improvement defensively from a year ago. As solid as last Tuesday’s performance was, I’m certainly not bold enough to predict a Razorback victory on Saturday. With Razorback baseball at its apex in popularity today, and Hog basketball being more frustrating than fun, the call isn’t absolutely weighted toward the hardwood anymore. 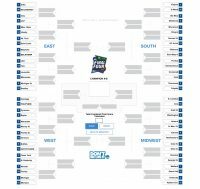 We’ve renewed our NCAA bracket challenge from last year once again to see which Flyer readers are best at skillfully predicting the NCAA Tournament games. The Razorbacks are left in limbo until Sunday, waiting to learn if they will be invited to the NIT or not. Activities include live music, inflatables, a pep rally, food vendors, and an autograph session. I’m glad we have at least one more chance to see the Razorbacks play this year. This really isn’t the type of hot potato the board needs to debate. Just pass it and move on. Those with hurt feelings will get over it. If approved, a formal dedication of ‘Nolan Richardson Court’ will take place next year. A week ago, Hog fans were concerned with finding the perfect replacement for Arkansas basketball coach Mike Anderson. However, cooler heads have prevailed, and the complaints have softened some. The Arkansas Razorbacks face the No. 18 Ole Miss Rebels at noon Saturday in a game the Hogs desperately need to win.